Releasing an album full of traditional folk and classic children’s songs may not be out of the ordinary, however, as much as I have heard “This Land Is Your Land,” “Your Are My Sunshine,” and “I’ve Been Working on the Railroad,” I always appreciate when artists put an original spin on them, essentially creating something that feels new. That’s the difference for me every time. 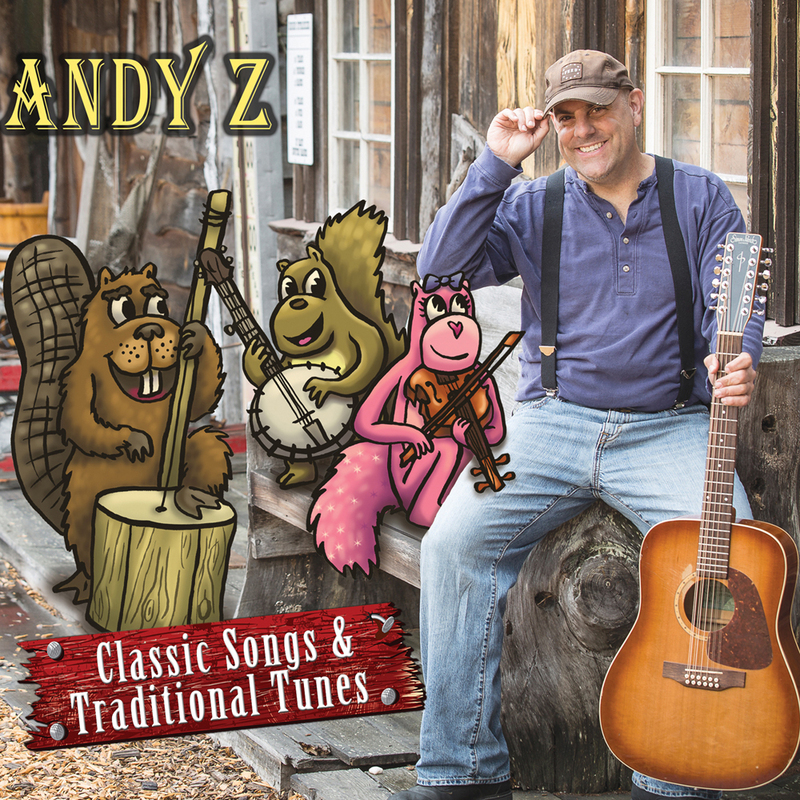 Andy Z‘s sixth studio album, Classic Songs and Traditional Tunes, does just that. While planning for the release of this album, the Bay Area-based musician spent time researching the origins of popular folk songs in an effort to present them in their original lyrical form. Andy preserves the authentic sounds of the genre through carefully curated orchestral arrangements and infuses them with his signature charm and positive energy. Em and I listened to the album together, and as she heard “This Land is Your Land” followed by “Shake a Friend’s Hand,” she proudly sang along excited by the fact that she knew all of the words. As I listened to her, I recalled how we sang together during her toddler years. It was surprisingly nostalgic. Classic Songs and Traditional Tunes is an enjoyable collection of time-honored tracks that will appeal to children and adults of all ages. Sometimes reinventing the wheel can fall flat, but taking that same wheel and giving it a fresh coat of paint can be a wonderful thing. The album is available for purchase through CDBaby, Itunes, and Amazon. Be sure to catch more of Andy’s tunes by subscribing to his Pandora channel.